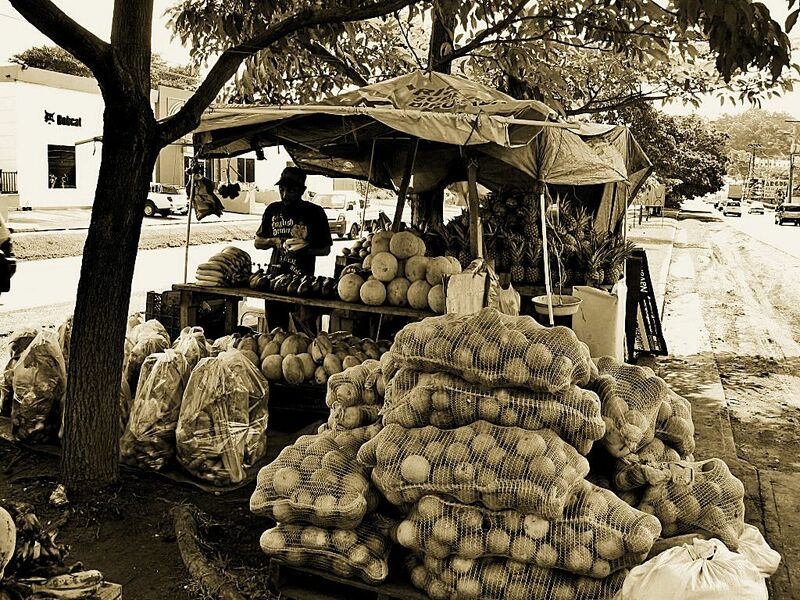 Via Ricardo J. Alfaro, commonly known as “Tumba Muerto”, is home to several improvised farmer’s markets. They pop out one day and the next days they’re gone, maybe chased out by public officials of City Hall. City dwellers love these humble stands because they are conveniently located, their products are fresh, and their prices are reasonably within reach. 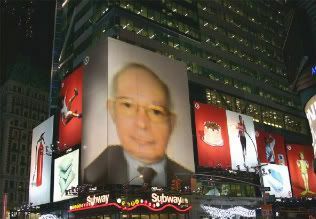 My wife is specially fond of one close to our house attended by José Luis, a humble but extremely courteous fellow. I was there last week with my P&S camera in tow, and took several pictures of José Luis attending his shabby stand. 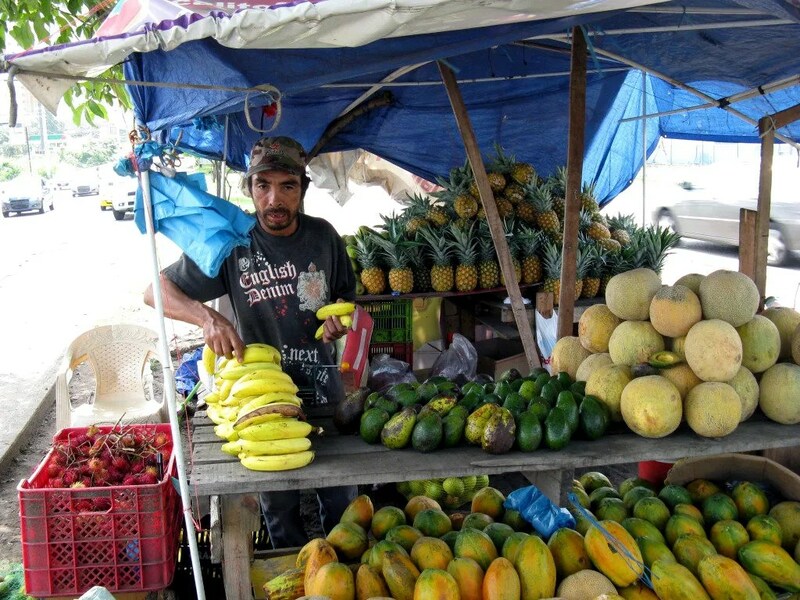 Business was good and the primitive cash register—Jose Luis’ pockets—was moving fast. Snapshot of José Luis inside his shabby stand in Tumba Muerto. His place consists of plastic used by politicians for a recent general election. 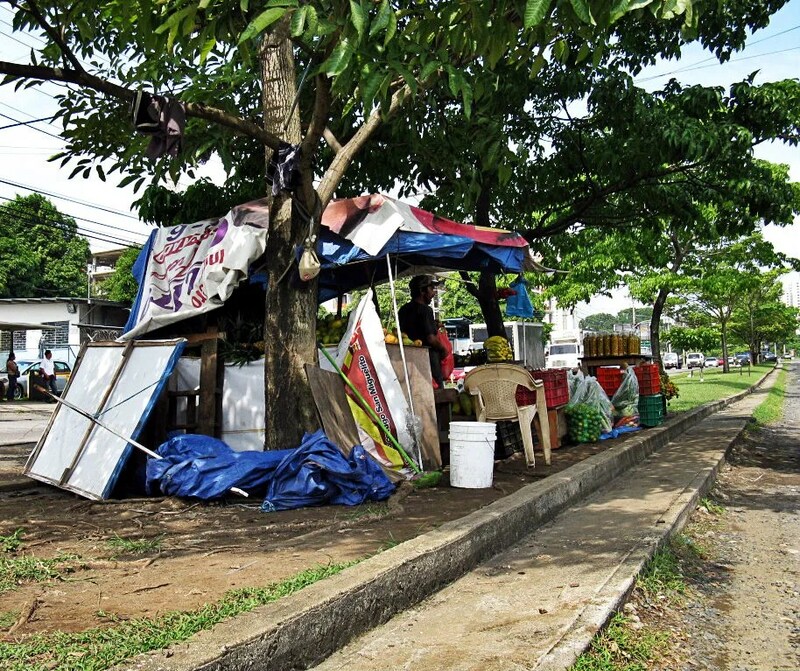 After the elections the plastic ads were abandoned and José Luis took advantage of the situation to build his stand. As the saying goes, “Necessity is the mother of inventions.” Photo by ©Omar Upegui R.
This is José Luis making a fast sale to a wheeled passenger in Tumba Muerto. Obviously, all are cash sales—no credit cards allowed. 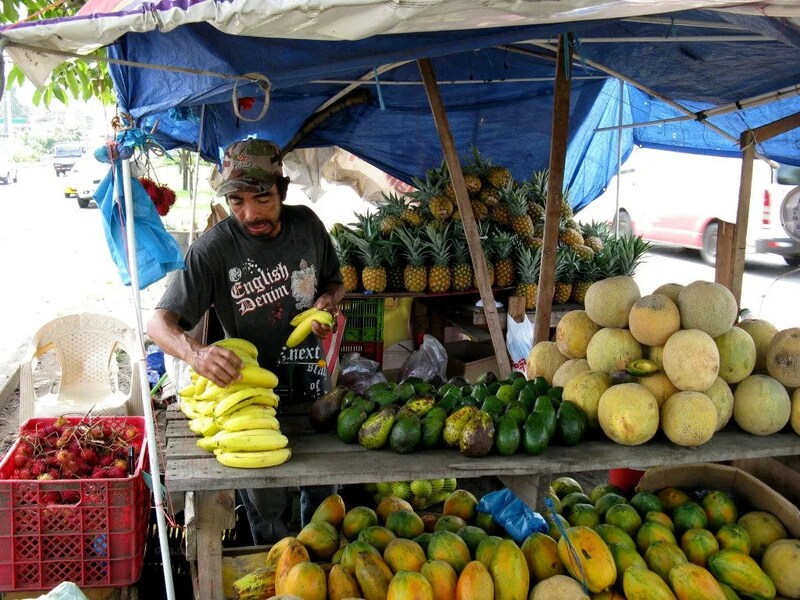 Photo by ©Omar Upegui R.
Snapshot of José Luis surrounded by his tropical goodies waiting for customer to roll by. Photo by ©Omar Upegui R.
Photo by ©Omar Upegui R.
If you like to study traditions and lifestyles of other countries, please return tomorrow for more pictures of food grown in a tropical country in Central America. It could be different from what is grown and consumed in your part of the world. Good Day. Published by: Omar Upegui R.
Married to the same woman for thirty-two years. No kids. Love the Internet, History books, view movies, listen to classical music and going to the beach. View all posts by Omar Upegui R.
I’d buy from him. That’s some good-looking fruit, especially the pineapples and avocado. I know most of it, but in the third and fourth photos, do you happen to know what’s in the red plastic crate? This is a tropical fruit known as “Rambutan” original from Indonesia and Malaysia. In Panama we call it “Mamón Chino” due to its Asian origin. There is a further explanation about this delicious exotic fruit in tomorrow’s post.